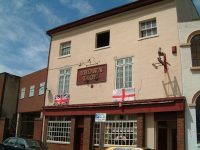 The Two Towers Brewery was established in the Hockley area of Birmingham in August 2010 as one of only two breweries in Birmingham supplying cask ale to the trade and also to the public in bottled and polypin form. 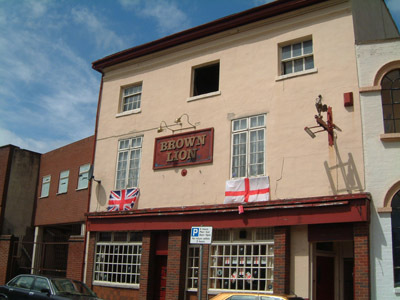 Following on from the success that the brewery has made to date it has now taken tenancy in the Brown Lion (formerly Nicole’s) public house in Hall Street, Hockley with the public opening night being held on Thursday 19th May. On offer behind the bar was a selection of five or six Two Towers’ cask ales in addition to one changing or rotating guest ale with a possibility of one cask cider too. In keg form there was Pilsner Urquell, Staropramen, Hoegaarden, a keg cider, plus Guinness. Also served was a range of quality wines, chosen to match the food menu by both the Chef and Manager. In future, food will be served daily with hot and cold light-bites available from 12 noon each day and main meals from 5pm each weekday and 12 noon at weekends. There will be a choice of meals ranging from vegan and vegetarian meals through to Beef and Two Towers Ale pie and Two Towers Ale Sausages and Mash.